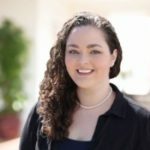 With so much information in the world today it is hard for homeowners to figure out what is true and what is not, especially in a complicated industry such as tree care. There are a lot of unsafe practices and wives tales out there that are outdated and dangerous to trees and the people who live in their proximity. Don’t get fooled by tree care myths; read on to protect yourself by learning these 11 Common Tree Care Myths and The Facts That Prove Them Wrong. Fact: There is only so much you can prune back at one time without severely impacting your tree. Removing too much at one time stresses the tree and can lead to health decline, structural defects, insect infestation, and disease infection. 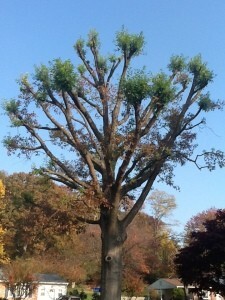 The practice of removing lots of large branches and whole tops of trees is commonly referred to as “Topping”. This is an outdated and harmful practice that will lead to your tree’s death. Fact: Certain insects protect your trees and are good for the environment these are called Beneficial Insects. 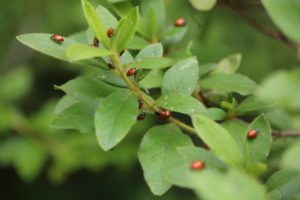 Take ladybugs for example, these insects feed on aphids and other creatures that harm your trees. There are even Beneficial Insect Release programs that use good insects to fight the bad ones instead of using chemicals. Learn more about Beneficial Insect Release. Fact: Yes, dead branches may eventually fall on their own; however, in our highly populated area it’s very likely they will cause property damage or human injury when they do fall. Dead branches “hangers” are unsafe and should be removed as soon as possible. Fact: No tree is ever 100% safe. However; trees that typically fall have root structure issues. It’s very common for trees to look healthy but still have root structure issues. This is why it’s important to get your tree examined by an Arborist every so often. They will be able to spot the signs of an unhealthy root system. Learn More About Why & When Trees Fall Down. Fact: Moving a tree can damage it, especially once the roots have been established, And planting in the wrong location can harm the tree in the future. Check how big your tree’s crown will get and make sure the roots have room to grown 2-3x that width, make sure your full grown tree will not encroach on any power lines or structures, and make sure the spot your planting in has the right soil type and light exposure for the type of tree your planting. 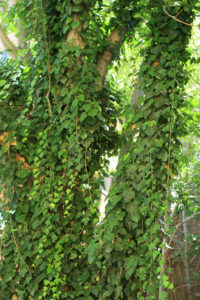 Fact: Although many people love the look of ivy growing on trees, Ivy is a threat to your tree. In fact, these aesthetically appealing vines can actually accelerate rot, steal nutrients from the tree, deprive the tree of sunlight, and cover up structural issues that could cause your tree to fall during a storm. Fact: Trees do not grow symmetrically. Trees grow towards the light and they will adjust to compensate for being uneven. A leaning tree can worry homeowners, but generally, trees that lean naturally over time are not a cause for concern. However, trees that lean suddenly can be a sign of structural issues. If your tree started leaning after a storm call an Arborist ASAP as it may fall soon. Fact: Tree branches need to be pruned properly to prevent damage. Limbs that are cut improperly can cause permanent and irreparable damage to your tree. Fact: During the drought season it is very good to water your trees; however, over watering is not good and can cause root rot. Watering once a week (deep and slow) is better than daily (fast). Learn How To Properly Water Your Tree. Fact: Arboriculture is among the top 5 most dangerous occupations in the U.S and that is for people that know what they are doing and have the right equipment. It gets even more dangerous when done by untrained homeowners. In 2015, the media covered 58 stories of homeowners sustaining serious injury while performing their own tree work; 34 of these cases were fatal. It is always best to hire a tree care company. Even if you hire a tree care company make sure they care about safety and are properly insured. If you hire an uninsured company with poorly trained workers you can be sued if they hurt themselves on your property. Previous SOIL COMPACTION: ARE YOU SMOTHERING YOUR TREE?